A simple and modern ring for your hand. You can now wear your state with pride! 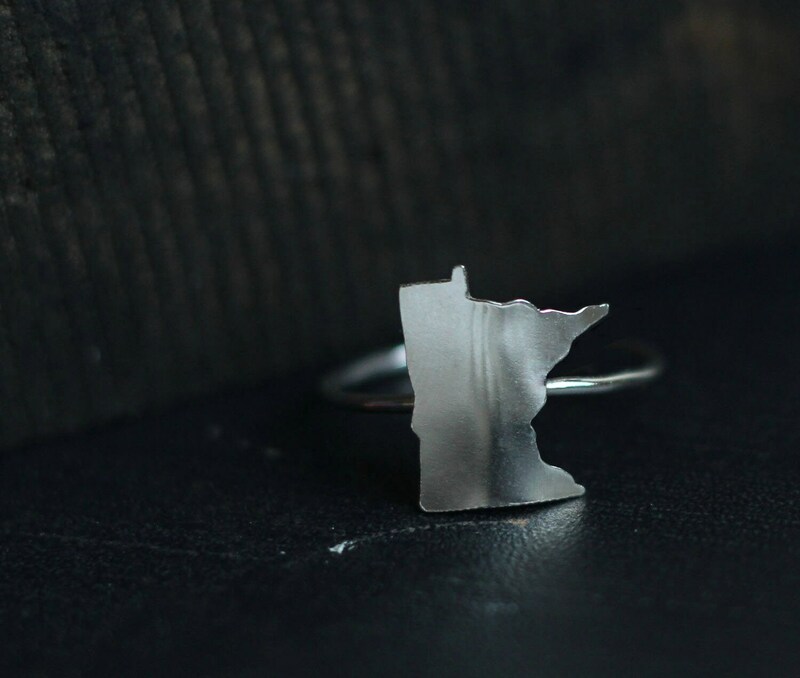 This stacking ring features a Minnesota state hand sawed from sterling silver. Minnesota measures approximately 12mm wide by 15mm tall and has a brushed finish. The state has a slight curve to it to follow the natural line of a round ring. Please select your size and state you would like! Want a country and not a state? I can certainly do that as well! Just put in message to sellers what country you would like instead. Each ring is created upon order so it will naturally vary in size and shape. Yeah Handmade!